We've been waiting for SAS® To come out with a little dressier shoe and now we have it. 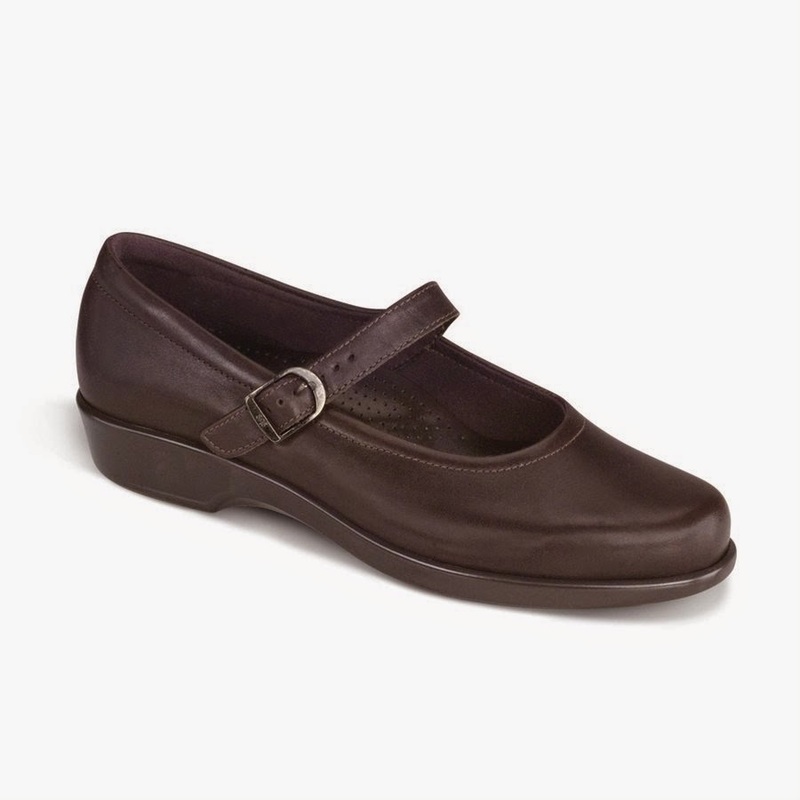 MARIA is a cute little Mary Jane Style with a plain toe and a little strap over the instep. This little cutie is made on an exclusive SAS® Foot Shaped Last designed to fit and follow the shape of your foot and give you all day comfort and plenty of room for your toes. 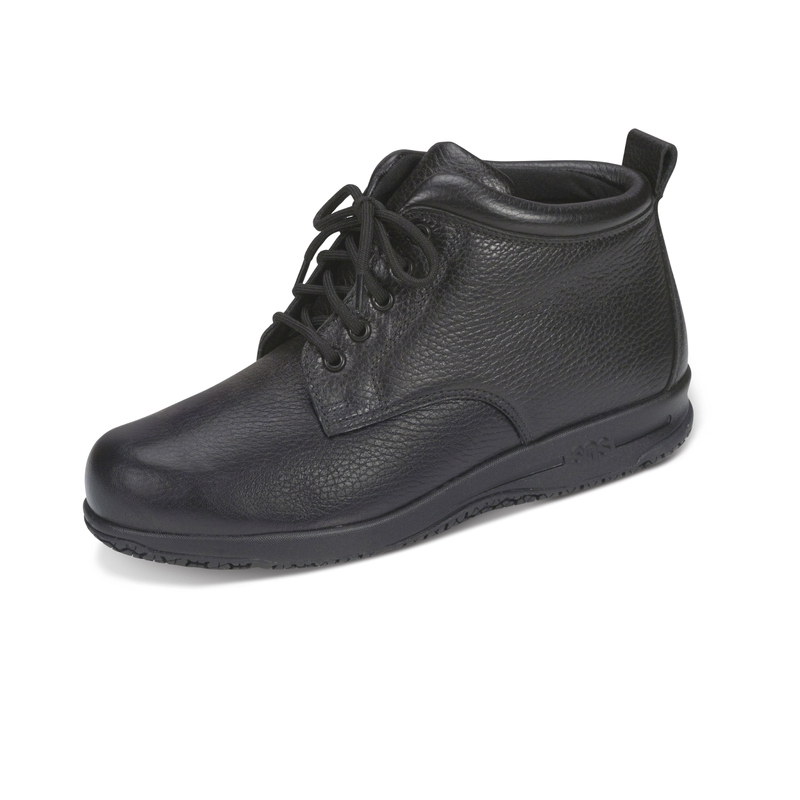 The upper is a soft leather with a "Pillow Soft" lining. The adjustable strap also has a "Pillow Soft" lining and the under buckle stretches with every movement of your feet. This strap provides a secure comfortable fit. MARIA has a firm heel counter for stability and a Padded Collar that won't bite into your ankle. On the inside it has SAS's Odor-Resistant Tripads Cushions. These cushion your main pressure points - the ball of your foot and your heel. A full length removable footbed with a cushioned / contoured arch cushion your feet from heel to toe. SAS's signature All-Day Comfort Supersoft lightweight polyurethane sole contains millions of tiny air bubbles for maximum shock absorption. A wider base provides increased stability. I am afraid SAS® did not leave anything out of this little gem of a shoe which is already flying off the shelves. If you are in or near the Nashville, TN area please stop by and see us. I am sure you will be pleased. Betty Ensor Thomas ..... If you work around water, oil or anything else slick you might want to try SAS's newest SLIP-RESISTANT shoes GUARDIAN (for Men), LIBERTY and ALPINE (for Women). The Upper of these ofSAS WaterGuard™ Leather which is water resistant (which means it will hold up better under wet conditions). This leather is breathable, soft and supple yet durable enough for working in most environments. 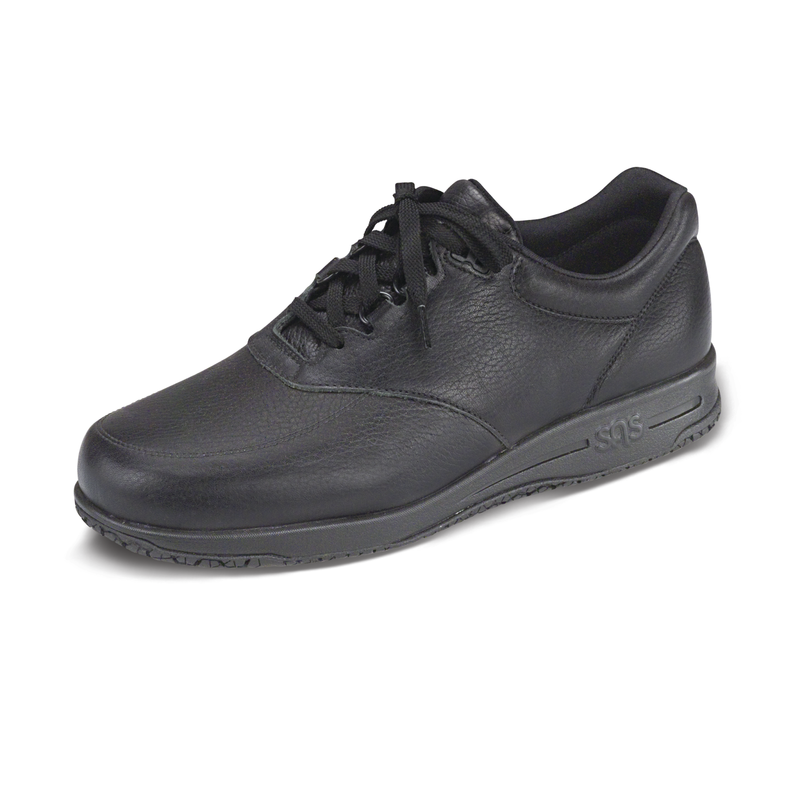 These shoes include SAS's polyurethane midsole with is extrememly lightweight and flexible. There is extra cushioning (SAS Tri-pad® Comfort System) under the ball of the foot and the heel. Included is SAS's newest Coolstep Foot Bed which is designed to keep the foot dry and comfortable all day long. Included are SAS's newest Coolstep™ Foot Bed which is designed to keep the foot dry and comfortable all day. It has an anti-friction top to inhibit heat. The bottom layer wicks away moisture while cushioning every step. These foot beds are antibacterial and can be washed for a healthy foot environment. Always remember it is important to make sure you buy the proper size. When buying work related shoes you should always make sure that the shoes are wide enough to stay comfortable at the ball of the foot and roomy enough in the front so your toes are not cramped. The heel should be snug and should not slip while walking. 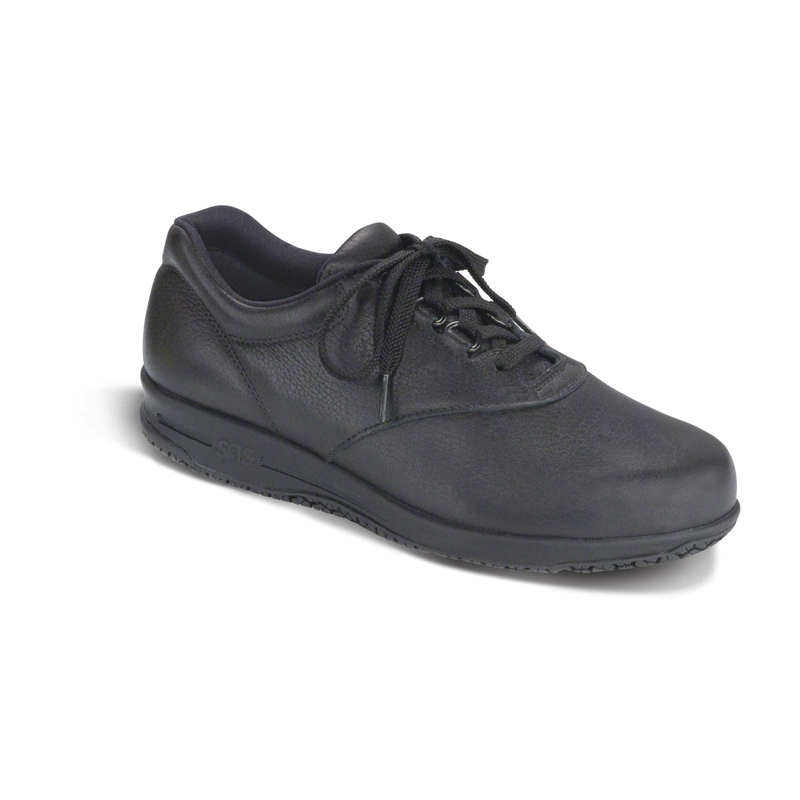 Proper care is required to maintain the slip-resistant performance of this shoe. Wipe away dirt and grease with a damp cloth and remove debris in the grooves of the sole to maintain the slip-resistant performance. All three of these shoes are available in 5 Widths (Slim, Narrow, Medium, Wide, and Wide-Wide), and a wide range of sizes.